Dress up your car or truck with some chrome trim. Nothing turns heads quite like the sun glinting off of chromed out bling. CCI chrome mirror covers are sure to get you the attention you are looking for! These side mirror covers are made from a durable ABS material which is resistant to cracking or chipping, even under the most extreme temperatures. Your new mirror covers will also withstand damage from rocks, bugs, and other debris. CCI uses a triple chrome plating process to give you the best finish, these mirror covers will even match any factory chrome trim you might already have. Mounting is made easy with pre-applied 3M automotive tape for all but factory shell replacements. All you have to do is clean the mirror off with rubbing alcohol, peel, & stick. Not much else could make this installation easier! You'll find that all CCI chrome accessories can be added by anyone, regardless of how much mechanical experience. Show your ride some love with a set of CCI chrome mirror covers and turn some heads the next time you go cruising! 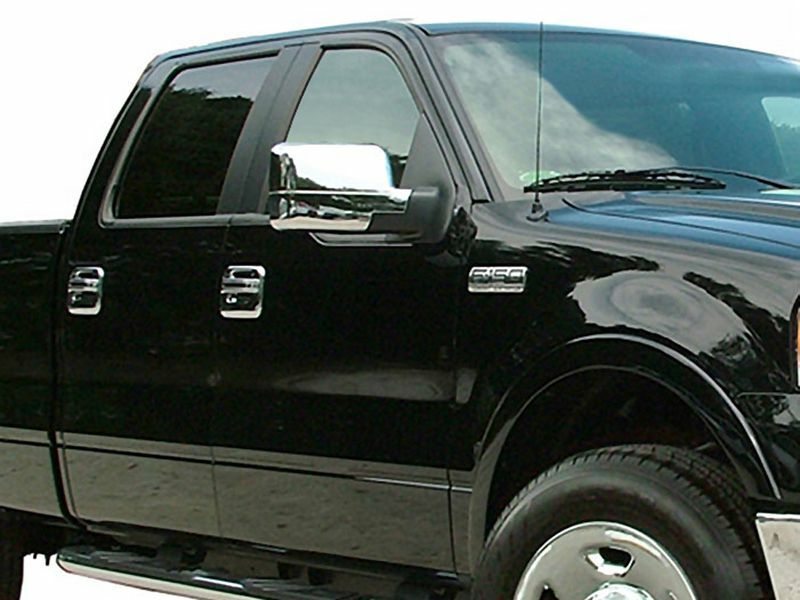 Adding CCI chrome trim to your ride is simple and easy. All of their chrome accessories come with 3M tape pre-applied to the back, so you just need to clean the area with alcohol swabs, peel, & stick. Nothing to it! If you would like to find out if these mirror covers will make you faster or give you better mileage, you should give us a call, we are more than happy to chat with you any day of the week.